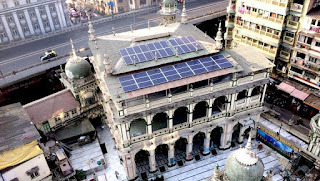 Mumbai’s iconic Minara Masjid, at Mohammed Ali Road, and over 200 years old Zakaria Masjid, located at Masjid Bunder, have gone green in order to manage its electricity expenses. The Masjid which is been frequented by thousands of namazis have installed solar panel on its roof to cut the electricity bill. Lights, air conditioners and fans in the masjid are powered by solar power. A total of 46 solar panels were installed at the masjid in January that generates 45 kilowatt-hour (kWh) to 70 kWh solar power per day. According to members of the Zakaria Masjid trust the monthly electricity bill fell by 20% after they installed the solar power system. 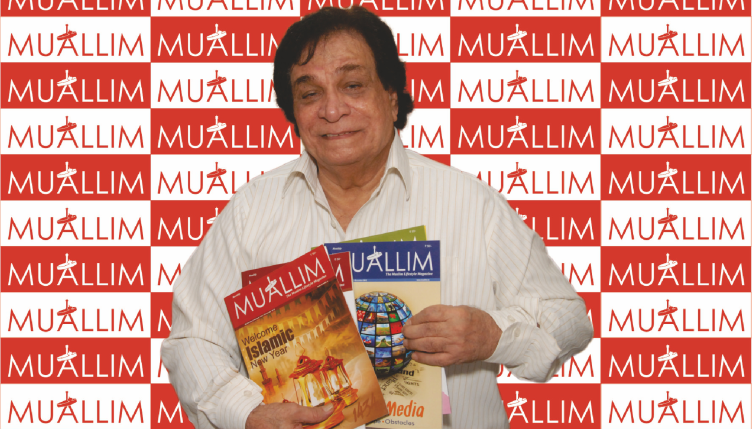 “Apart from being cost-effective, we are able to spread the message of protecting the environment by adopting this renewable form energy,” said Irshad Lakdawala, chairperson, Zakaria Masjid trust. “The solar power varies on the basis of weather conditions. If it is a completely sunny day, maximum benefits will be reaped with 70kwh output from the project,” said Sohail Shaikh, director and technical head, Green Power Consortium Management Pvt Ltd., which set up the project. It is exemplary that two heritage structures in the city have led by an example and adopted solar energy. The renewable energy source will not only benefit the mosques but areas that face electricity woes.